Only 200,000 users took the free trial of a pre-installed app in the first 48 hours. Why is Apple even doing this? Just update your iPhone or iPad to the latest version of iOS (released on the same day), and you can get a free one-month trial right there in the News app. How many people actually did this? According to The New York Times, Apple has amassed only 200,000 subscribers in the first 48 hours. That’s not very good, all things considered. And maybe Apple News+ doesn’t yet deserve to be a hit. But in this case, it’s actually quite low. Let’s do some back-of-the-napkin math. There are now about 1.4 billion Apple devices in active use, according to the company. Of those, 900 million are iPhones. Apple pushes News+ pretty hard to everyone who upgrades to iOS 12.2. Typically, when a new major version of iOS is released, it achieves roughly 10 percent market penetration in the first two days. Point releases, like iOS 12.2, often see somewhat faster initial adoption. Let’s be cautious and say that, in the first two days, over 100 million people upgraded their device and were therefore able to subscribe to Apple News+. The Apple News app is preinstalled on all those devices, and Apple aggressively pushed its News+ subscription, with banners in the News app, mobile video ads in apps, and notifications. Suffice it to say that, if you’re the kind of person who updates their OS in the first two days, you were definitely aware of the free one-month trial. That 200K figure represents a paltry 0.2 percent of people who upgraded to iOS 12.2—who are mostly big enough Apple fans to jump right on the latest OS update. That’s hardly a hit. Given the heavy-handed promotion, one might even call that a flop. Since Apple News+ is only available in the U.S. and Canada, that number isn’t quite as bad as it may seem. We don’t have a good estimate of how many Apple users in the U.S. and Canada have upgraded to the latest OS, but unless it’s an unthinkably small number like two million, it’s not going to make that subscriber percentage look good. Eventually, 80 percent or more of active Apple devices will upgrade to the latest version of the OS. Even if there were a billion users able to get Apple News+, at the current rate, that’s only about two million subscribers. And that assumes this subscriber rate holds when the free trials run out, which is not likely. The thing is, Apple News+ doesn’t deserve to be a hit yet. It’s got serious problems. The interface is unintuitive. Lots of publications aren’t formatted for Apple News at all, they’re just straight PDFs—with no search or hyperlinking and terrible formatting for phones. You can’t manually delete magazines you download. Perhaps worst of all, you don’t really get a subscription to all these publications. 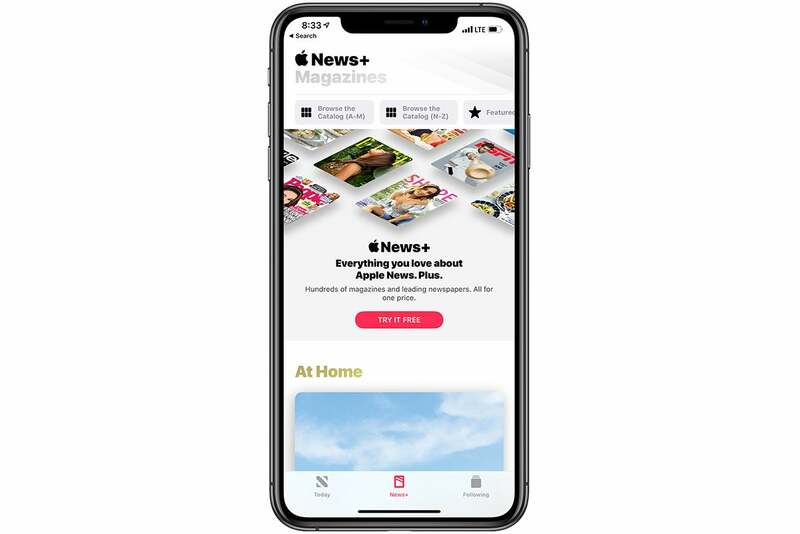 You get a subscription to Apple News+, which you can’t use to log into the websites of the participating magazines or newspapers to get the benefits they offer their subscribers. 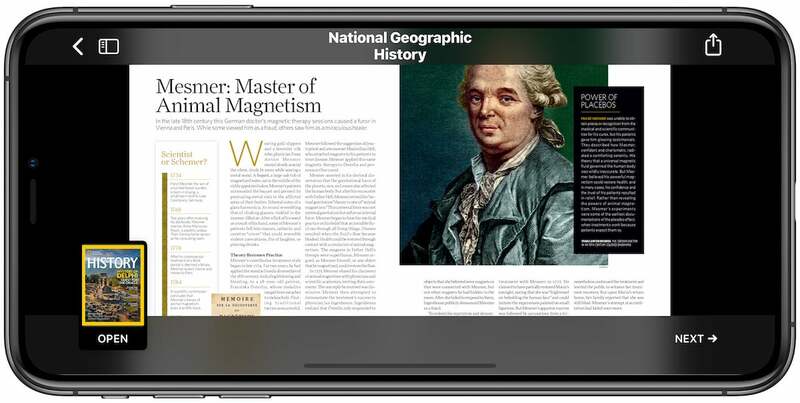 Reading magazines as giant PDFs on your phone is a decidedly bad experience. We have no idea what sort of future numbers Apple News+ is going to pull in, but before I would recommend it to a friend, Apple would have have to really step up its game. The entire interface needs to be redesigned for better publication discovery and management. Apple is going to have to make sure that its participating publications do more than push out a plain linear PDF that looks bad on mobile screens, even if that means doing a bunch of conversion itself. Apple currently brings in over $250 billion dollars a year in revenue. For Apple News+ to add just one percent to Apple’s bottom line, it needs to pull in $2.5 billion dollars a year! That’s just under 21 million subscribers, just to barely move the needle on Apple’s revenue. Remember, I said that even when a billion Apple devices upgrade to the latest OS and can therefore subscribe to Apple News+, at the 0.2 percent of the first 48 hours, that would be only 2 million subscribers. And let’s not forget that users is different from devices. Since some users own multiple Apple devices, and since News+ includes family sharing, its total addressable market is dramatically less than the billion-plus active devices Apple has in the market. Apple’s got to make paying for News+ 10 times more attractive than the first couple days of the free trial to make more than a rounding error on Apple’s revenue sheet! Oh, but it’s worse than that. News+ is only available in the U.S. and Canada. That definitely makes the small “200K subscribers in the first two days” number look a lot better, but it brings up another worrying point: It has to not only grow its percentage of eligible subscribers by 10 times, but also become much more widely available around the world. That’s going to require lots of deals with international publishers. It’s hard to make a case that it will benefit the partner publications, either. We don’t know what the revenue split is, but The Wall Street Journal reported that the company wants to keep 50 percent of the subscription revenue, a way bigger cut than Apple keeps from App Store subscriptions or Apple Music. Let’s say somehow Apple did manage to get to 20 million paying subscribers. That’s $200 million per month or $2.4 billion per year. If Apple keeps half and the other half is split among all the partner publications, of which there are currently about 250, that’s an average of $4.8 million per year, per publication. That sounds pretty good at first, but that’s not what most of them will get. Publications that are read more get a bigger share, so the distribution will be heavily weighted to the top 10 or 20, with the vast majority pulling in a fraction of that. And as Apple expands the number of publications in order to boost international appeal, the pie will get sliced up even more. 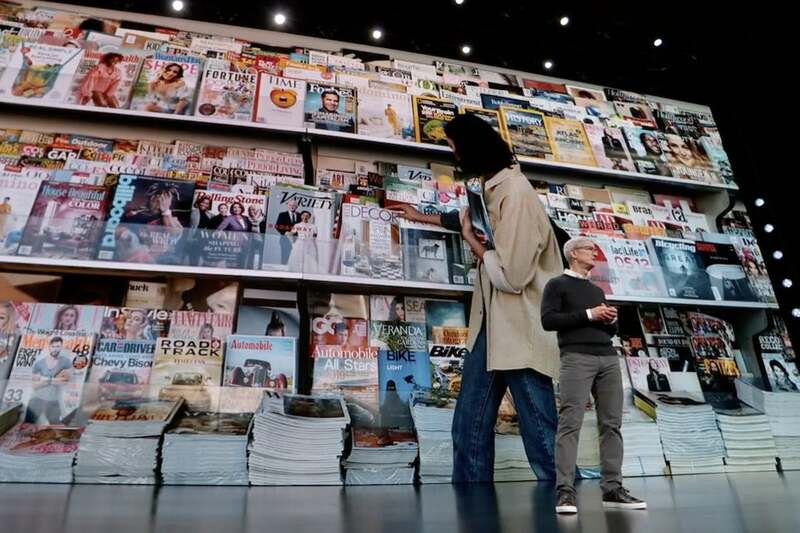 The vast majority of publications in the program would be better off with 20,000 subscribers than they would with 20 million Apple News+ customers, while the top 10 percent will find a useful new audience and revenue stream. In other words, it’s going to take a miracle for News+ to have even the slightest impact on Apple’s revenue, and it doesn’t look great for most of the publications, either. So one has to wonder: Why is Apple even doing this? Unlike Apple Music or Apple TV+, this has almost no chance of reaching an eventual audience of 50 million worldwide, and thus having a meaningful impact on Apple’s financials (it would still be less than 2.5 percent of Apple’s yearly revenue). Music and video subscription services have way more appeal. They cost the same or less than a single album or DVD, while News+ costs twice as much as a magazine for a far smaller selection. And people don’t care about building a magazine or newspaper collection like they do with movies or music. What’s more, most magazines give away their content on the web through ad-supported sites, and significant news stories are so widely re-reported that you don’t need access to any one of them to stay in the know.